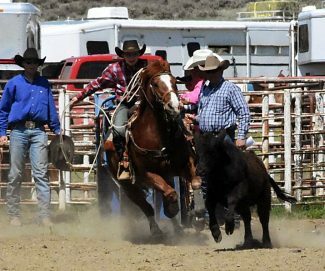 Their shirts may be pink and they may have flowers on their hats, but the women in ranch rodeo aren’t too worried about breaking a nail. 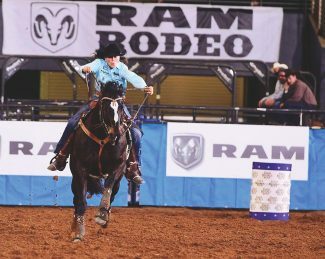 For four women from South Dakota and Wyoming, the eight rodeos they competed in that were sanctioned by the Women’s Ranch Rodeo Association, and the additional three finals rodeos just gave them a chance to show what they are capable of– and do– every day. The Turkey Track team of Tiffany Hampson, Douglas, Wyoming, Jenny Walker, Lusk, Wyoming, Cheyenne Wilson, Oglala, South Dakota, Jennifer Scheer, LaGrange, Wyoming and Bridgit Downs, Douglas, Wyoming won the year-end champion title at the WRRA world finals Oct. 16 and 17 in Loveland, Colorado. The reserve year-end champion team was from western Nebraska and Wyoming, made up of Tasha Morava, Tami Dyer, Dusty Henry, Jill Eppert and Lora Anderson. 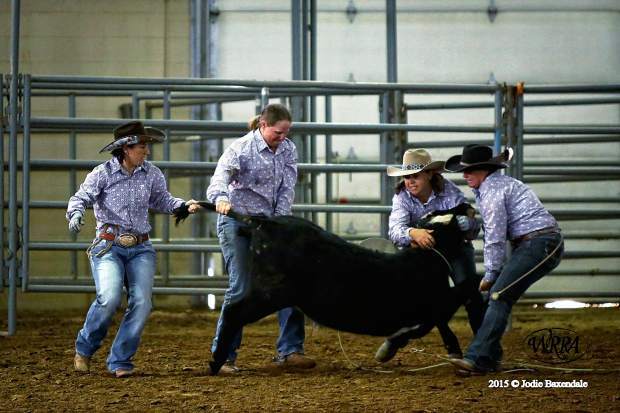 The 2015 WRRA World Finals champion team was River Bend Ranch–Cindy Due, Christine O’Neal, Cortney Anderson and Katie Pinner. Reserve champion went to The High Lonesome team of Julie Dawson, JV Thomas, Lori Campbell and Stacy Mathis. Eighteen teams competed in the finals, coming from Texas, Oklahoma, Florida, South Dakota, Nebraska, Kansas, Wyoming, New Mexico, and Colorado. 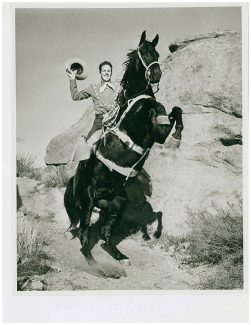 They all enjoy the competition and the camaraderie of the ranch rodeos. Wilson and Hampson agree that sorting is their strongest event, a view that’s reinforced by the year-end sorting title they earned this year. They say trailer loading and mugging and tying down a steer are more challenging. The competition has been positive for the team, and they encourage other women to get involved.